Israel, a country that had long dealt with terrorism and violence, is in the midst of facing a new threat. 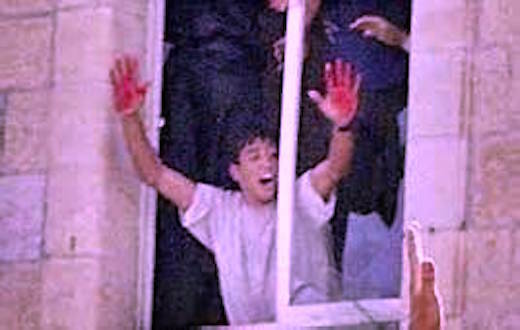 Shying away from bombings and car attacks, Palestinian terrorists have shifted to the tactic of young men with knives attack innocent Israelis on the street. 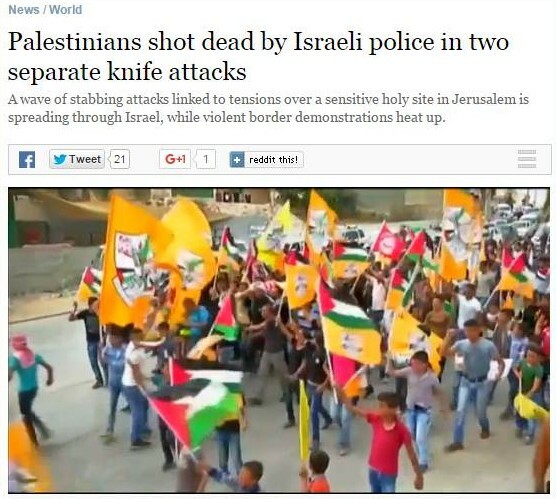 The increasing attacks are essentially suicidal, always ending with Israeli police either killing or severely wounding the terrorists. Now for any sane journalists, the story here is clearly that teenagers are running around with knifes attacking random innocents. Unless, of course, you’re inclined to cast Israel in a negative light no matter what the circumstances. The lack of context from the headline could be chalked up to space issues. 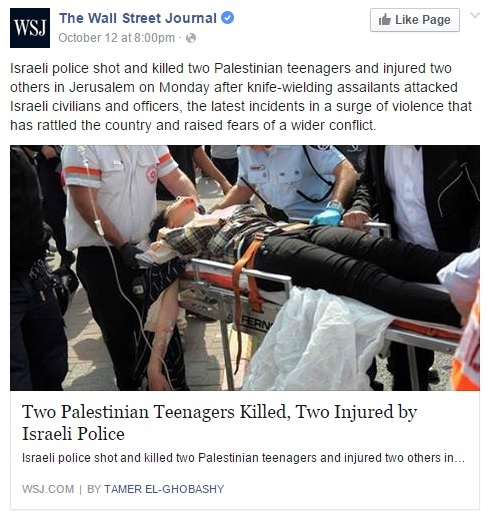 But the post’s description reads: “Israeli police shot and killed two Palestinian teenagers and injured two others in Jerusalem on Monday after knife-wielding assailants attacked Israeli civilians and officers…” Gosh, why were the Israeli police attacking these poor Palestinians when those knife-wielding assailants were still on the loose? Of course, all these headlines are technically accurate. But simply imagine the outrage if a foreign news outlet had ran a headline reading “After Boston Bombing, Police Shoot Muslim Boy in Suburban Neighborhood.” The omission of information intentionally distorts the truth and makes the heroes of the story the villains.